Do you ever feel like something might be missing in your dog’s diet because he is not as healthy and vibrant as you would like him to be? Perhaps your dog’s poops are not the way they should be, or there may be digestive issues that keep coming back no matter what you feed? May be your dog is driving you and himself insane with constant itching and scratching? Or may be he just appears to feel a little down and seems to have lost that spring in his step he used to have? The solution might be that your dog simply needs some additional nutrients, and nothing works better than the nutrition from whole foods. With the wide range of dog foods available these days, you can certainly find a high-quality kibble (free of grains, by-products and chemical preservatives), but keep in mind that it is still processed food that does not provide your dog with the same nutrition as if you were to prepare your dog’s own meals made from fresh, whole foods. Don’t panic – We understand completely that with today’s hectic lifestyle, most of us do not have the time to home-prepare meals for our dogs. In fact, many of us barley have the time to prepare fresh, wholesome meals for ourselves! Don’t worry – There are simple steps you can take to significantly improve the nutrient content of your dog’s meals. One of the best and most effective ways to achieve this is by adding a small amount of vegetables. This may surprise you, and you may ask, does my dog really need vegetables, and how can that improve my dog’s health? Vegetables are functional foods and they contain lots of healthy fiber that helps promote optimal functioning of your dog’s gastrointestinal system as well as optimal weight. They are loaded with vitamins and minerals that all work in synergy to promote optimal health. In addition, vegetables contain phytonutrients, which are chemicals that occur naturally in plants, and they have been shown to provide important health benefits that cannot be conveyed from other types of foods. The most widely known phytonutrients are probably carotenoids, which include alpha-carotene and beta-carotene. Carotenoids are the red, orange and yellow pigments that give vegetables like red beetroot, carrots, and sweet potatoes their colorful hue. While phytonutrients are not essential to keep your dog alive like proteins and fats, vitamins and minerals, they can definitely help promote vibrant health and protect your dog from disease. 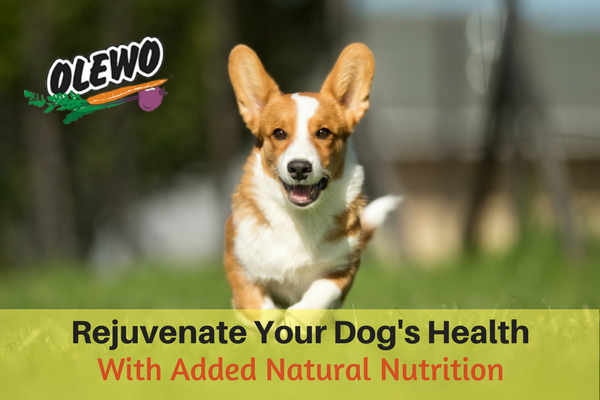 Actually, these additional nutrients can make the difference between your dog just surviving and thriving. So, make sure your dog eats his veggies! Some vegetables can cause your dog bloating and gas, and then there are starchy and hi-glycemic vegetables that can contribute to weight gain. You can still find a variety of good vegetables to feed, but since dogs should only receive a small amount of vegetables as part of their diet, we recommend those that are especially rich in nutrients so your dog gets a high amount of nutrients from a small amount of vegetables. Root vegetables like carrots and red beetroot are particularly rich in nourishing vitamins, minerals, and phytonutrients that promote optimal health and help prevent disease. Both, carrots and red beetroot, are known as superfoods and have been consumed by humans for their health benefits and healing powers around the world for centuries. Dogs can reap the same health benefits from these vegetables as humans do as long as they are fed in the correct form. How do I Best Feed Vegetables to my Dog? There are definitely a couple of things to consider when feeding vegetables to dogs, especially if you want to feed them for their health benefits. Digestibility – Vegetables are actually hard to digest for dogs. If you have ever taken a close look at your dog’s poop after feeding a raw carrot for example, you may have noticed that the pieces came out just the way they were swallowed, undigested. This is because dogs lack the enzyme that helps break down the cell wall of plant material for proper digestion. Steaming, or grinding the carrots in a food processor can help break down the cell wall to help increase digestibility. Freshness – The freshness determines the amount of nutrients in the vegetable. Vegetables with the most potent ingredients to benefit our health and the health of our dogs are those with deep, vibrant colors. Unfortunately, those are also the ones prone to the most nutrient loss. Let’s use the bright orange carrot again as an example. Carrots are known for their high beta-carotene content which converts to vitamin A and delivers many health benefits. However, the carrot like all root vegetables, start losing that valuable beta-carotene as well as other vitamins as soon as they come out of the ground and are exposed to light, air and moisture. 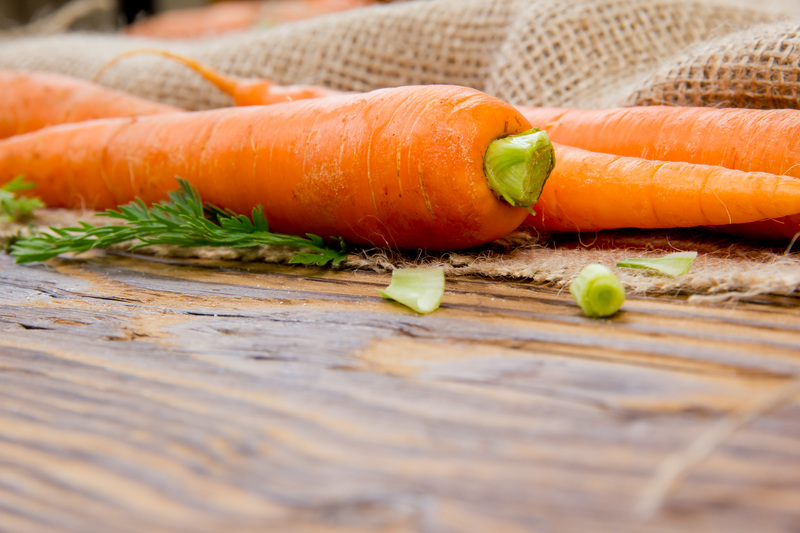 So when you see carrots out in the open air at a farmer’s market or under the light in the produce department of your grocery store, think about how much nutrition is still left in those carrots. 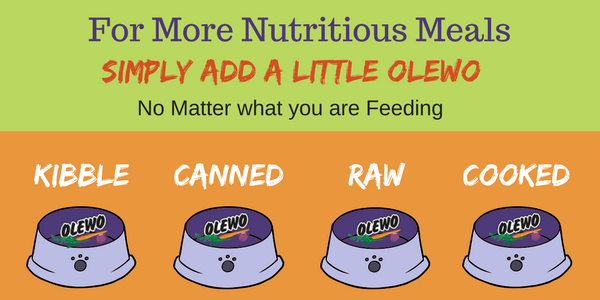 Solution – To get the most out of vegetables for your dog, take a look at Olewo Carrots and Olewo Red Beets. These are highly digestible vegetable products especially prepared for dogs to absorb, assimilate, and utilize the amazing nutrition in carrots and red beets to benefit their health. At Olewo, the vegetables go to preparation as soon as they come out of the ground at harvest to avoid the loss of valuable nutrients. Once rehydrated and added to your dog’s meals, the products return to a fresh food appearance with the same palatability and nutritional value that resembles the freshly harvested vegetables.